Calli Tea offers the anti-aging benefits of green tea + 4 Chinese herbs. 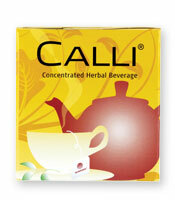 So concentrated that each Calli tea bag brews up to 4 cups (32 oz or 1 litre)! Calli Night is for those who want a good night's sleep, naturally. When you're ready for something more than energy drinks with dangerous chemicals, soft drinks with too much sugar, diet sodas, or artificially enhanced sport drinks, try these natural health drinks. 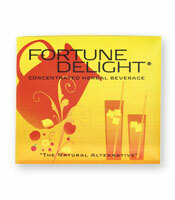 Drink Fortune Delight instead of plain water, soft drinks, energy drinks, or candy colored sports drinks and vitamin waters. Fortune Delight has been named to a list of "Top 100 Health Products in the World"
Sunnydew Liquid Stevia is made from the stevia plant, which is known to be a beneficial natural food grade herb. It is hundreds of times sweeter than sugar, but does not adversly affect normal blood sugar levels. 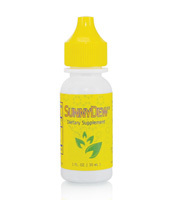 Sunnydew is so concentrated that you only need a few drops to add sweet flavor to a full quart or more of any liquid. Combined with our health drinks, SunnyDew Liquid Stevia provides a solid source of nutrition for athletes that will enhance the benefits of drinking water. 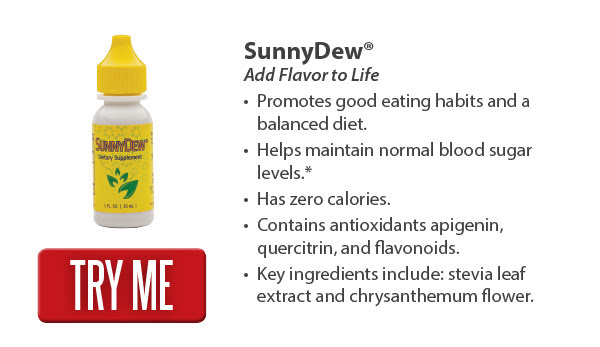 Sunnydew Liquid Stevia is perfect for anyone seeking low carb foods and health drinks for a low carb diet. 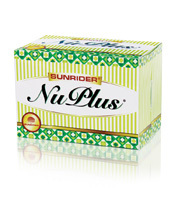 Nuplus is a whole food health drink mix fortified with powerful nutrients perfectly combined and concentrated. Nuplus strengthens by quickly nourishing cells. Concentrated plant nutrients build lean muscle and healthy tissue throughout the body. 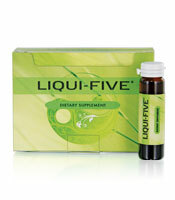 Delivers superior nutrition in fewer calories. 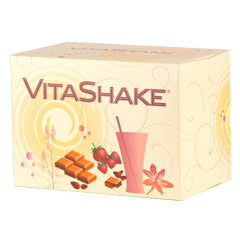 VitaShake - This healthy drink mix is breakfast or a full meal replacement any time. VitaShake includes a serving of Nuplus in addition to vitamins, minerals, soluble fiber, protein, complex carbs and probiotics. 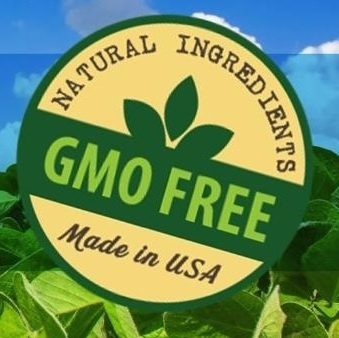 Compare the whole food ingredients in VitaShake with other fiber and protein drinks that contain sugar, "isolated" protein, "isolated" vitamins and minerals, and numerous artificial ingredients. You'll quickly see there is no comparison. VitaFruit is a unique herb-juice concentrate. This is a super antioxidant, concentrated liquid formula that makes it easier than ever to obtain the essential daily nutritional benefits from fruit. All-natural VitaFruit conveniently provides vitamins derived from concentrated fruits and unique herbs not found in typical health drinks. Electrosport takes electrolyte replacement to a whole new level. 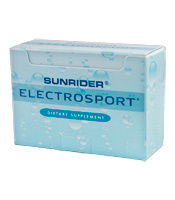 Electrosport is a naturally healthy electrolyte replacement fluid in a vial of super-concentrated formula. Mixing one vial with up to 2 quarts of water or one of our natural health drinks creates the best electrolyte replacement fluid available without sweeteners, caffeine or artificial ingredients. Sunrise is a healthy energy drink that is better than a cup of coffee to start your day off with healthy energy! Whether you're a professional athlete or a weekend warrior, you'll appreciate the support Sunrise gives you. 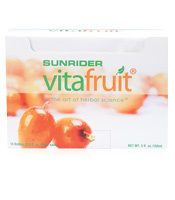 Because it is concentrated with an exclusive formula by Sunrider, there isn't a comparable product at any health food store. 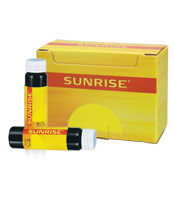 Drink a vial of Sunrise and feel an energy boost for hours! Evergreen Alkaline food properties in concentrated chlorophyll makes this a superior formula for anyone seeking health drinks to support a healthy pH balance. 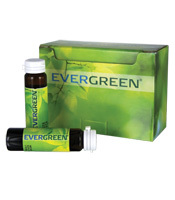 With a delicious minty flavor, each bottle of Evergreen delivers highly concentrated chlorophyll, which boosts the circulatory system's ability to transport oxygen and nutrients to the body's systems more efficiently. Sunny Fresh concentrated health drinks are used to soothe dry, scratchy throats and improve digestion. This unique formula contains an extraordinary blend of concentrated herbs including licorice, peppermint and cloves, all traditionally used to aid digestion, soothe the stomach and freshen the breath. Sunny Fresh is safe, effective, and tastes great! 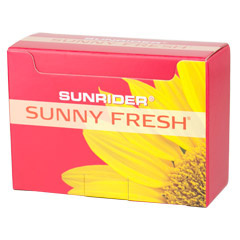 Singers, and others who use their voices professionally love Sunny Fresh! Question: How can you feed the 5 main systems of your body with 50 different, perfectly combined all natural, whole food plant sources in less than 30 seconds? Different from other sports drinks, vitamin waters and energy drinks, our health drinks are made without artificial sweeteners, harmful chemicals, or empty calories. Plus, they are super-concentrated for results you can feel! Why Do Certain Health Drinks Work Better for Safe, Gentle, Daily Detox? 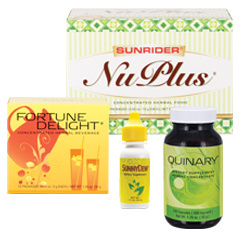 Is An Online Health Food Store A Good Place To Find All Natural Foods and Health Drinks? Stevia - What Is Stevia and Why Do You Need It? 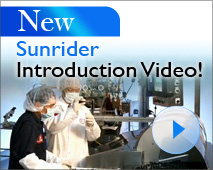 Click to learn more about Sunrider, the manufacturer of our health drinks.